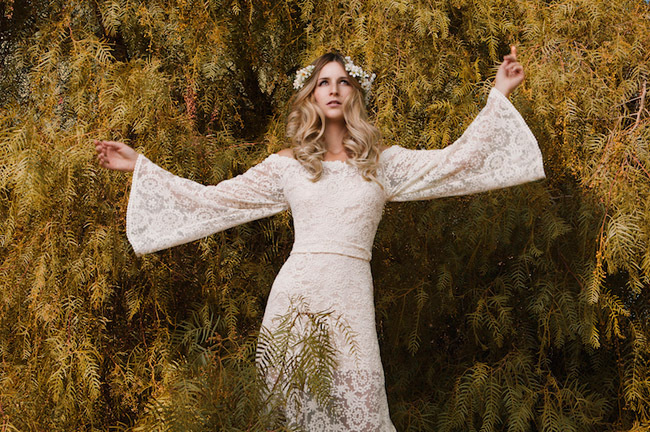 For all you laid back, bohemian brides-to-be currently on the hunt for your perfect wedding dress, the new Eternal Romance collection from Dreamers & Lovers is sure to make you stop in your tracks! 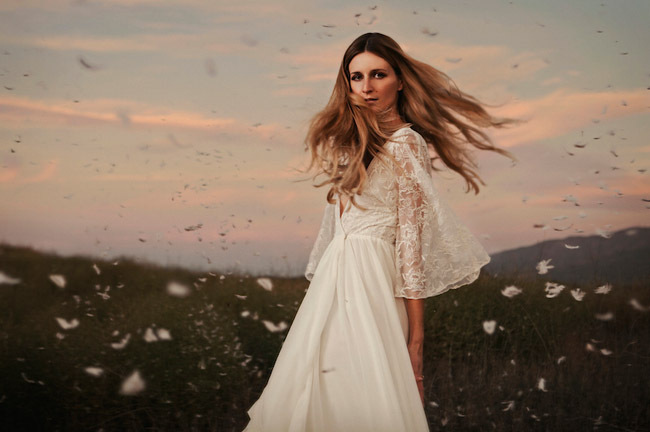 The Dreamers & Lovers philosophy has always been to design beautiful, unique wedding dresses that fit a bride’s body, personality, and budget without sacrificing style, craftsmanship, or even comfort. Since its initial conception as a one-woman workshop, Dreamers & Lovers has grown into a team of seamstresses led by founder and head designer, Yanique Barnes. Catering to free-spirited brides, the new collection is filled with the most romantic bohemian wedding dresses featuring details like ethereal draping, plunging necklines, and delicate embellishments. There are also a handful of simple wedding dresses as well; styles that timeless or traditional brides will find absolutely perfect for the big day. We love the new collection’s flattering lace panels, angelic sleeve details, sultry necklines + gorgeous trains. This dress is one of our personal favorites! Dreamers & Lovers sells directly to their customers, so you won’t find their dresses in any other bridal boutique. They say, Choosing a wedding dress is a special experience, one that should be customized from the start, with your measurements and desires at the forefront of the entire process. The on-site seamstresses and creative team allow you to convey exactly what adjustments you’d like in your bridal gown, without breaking your budget. 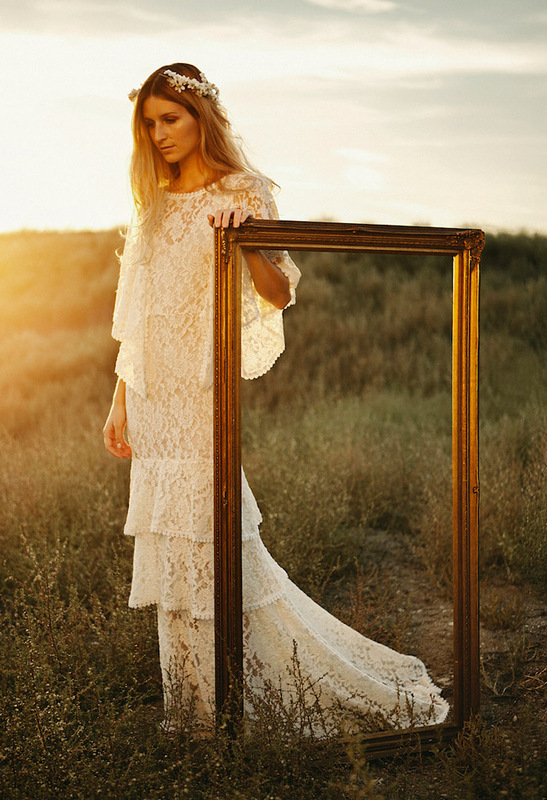 To browse more of gorgeous bohemian wedding dresses for laid back brides like you, be sure to visit the Dreamers & Lovers website!